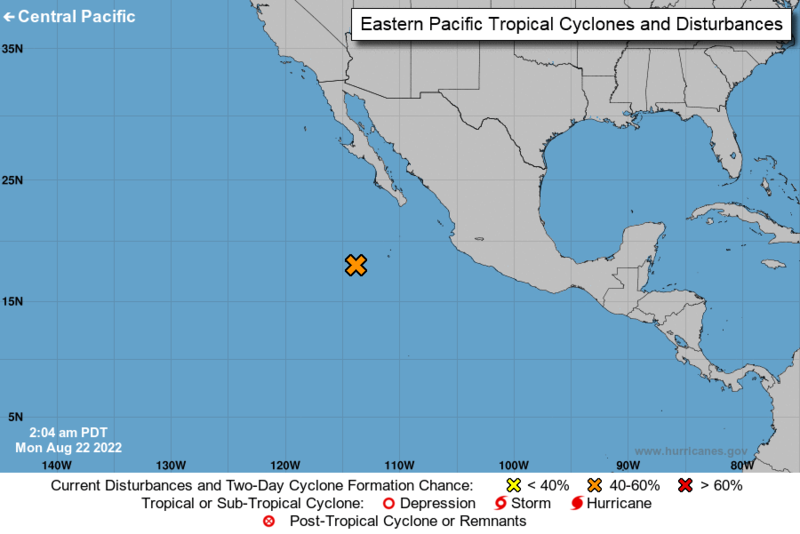 FZUS56 KMTR 211020 CWFMTR Coastal Waters Forecast for California National Weather Service San Francisco Bay Area 320 AM PDT Sun Apr 21 2019 Point Arena to Point Piedras Blancas and out 60 nm including the San Francisco Bay and Monterey Bay 320 AM PDT Sun Apr 21 2019 .Synopsis for the Central California Coast and Bays Including the Monterey Bay...Greater Farallones...and Cordell Bank National Marine Sanctuaries... An eastern Pacific surface high pressure system will result in gusty northwest winds across the waters except winds over the near shore waters will diminish by midweek. Gusty winds generating steep fresh swell is hazardous for small craft vessels. Seas predominantly from the northwest. NW winds 25 to 30 kt. Wind waves around 7 ft. NW swell 6 to 8 ft at 10 seconds. NW winds 25 to 30 kt with gusts up to 40 kt. Wind waves 7 to 8 ft. NW swell 6 to 7 ft at 11 seconds. NW winds 20 to 25 kt with gusts up to 30 kt. Wind waves around 6 ft. NW swell 5 to 6 ft at 10 seconds. NW winds 20 to 25 kt with gusts up to 35 kt. Wind waves 6 to 7 ft. NW swell 5 to 6 ft at 10 seconds. NW winds 15 to 25 kt with gusts up to 30 kt. Wind waves 5 to 6 ft. NW swell 5 to 6 ft at 10 seconds. NW winds around 25 kt with gusts up to 35 kt. Wind waves 6 to 7 ft. NW swell 5 to 6 ft at 10 seconds. NW winds 15 to 25 kt with gusts up to 30 kt. Wind waves 5 to 6 ft. W swell 5 to 7 ft.
NW winds 10 to 20 kt with gusts up to 25 kt. Wind waves 2 ft or less. W swell 5 to 6 ft.
NW winds 20 to 30 kt. Wind waves 6 to 7 ft. NW swell 6 to 8 ft at 11 seconds. NW winds 20 to 30 kt. Wind waves 7 to 8 ft. NW swell 6 to 7 ft at 11 seconds. NW winds 20 to 25 kt with gusts up to 30 kt. Wind waves 5 to 6 ft. NW swell 5 to 6 ft at 11 seconds. NW winds 15 to 25 kt with gusts up to 30 kt. Wind waves 3 to 4 ft. NW swell 5 to 6 ft at 10 seconds. NW winds 15 to 25 kt with gusts up to 30 kt. Wind waves 4 to 5 ft. NW swell 5 to 6 ft.
NW winds 10 to 20 kt. Wind waves 2 ft or less. W swell around 5 ft.
NW winds 20 to 30 kt. Wind waves 6 to 7 ft. NW swell 7 to 8 ft at 11 seconds. NW winds 20 to 30 kt. Wind waves 6 to 7 ft. NW swell around 7 ft at 11 seconds. NW winds 15 to 25 kt with gusts up to 30 kt. Wind waves 5 to 6 ft. NW swell around 6 ft at 11 seconds. NW winds 15 to 25 kt with gusts up to 30 kt. Wind waves 4 to 5 ft. NW swell around 6 ft at 10 seconds. NW winds 10 to 20 kt with gusts up to 25 kt. Wind waves 3 to 4 ft. NW swell around 6 ft at 10 seconds. NW winds 10 to 20 kt with gusts up to 25 kt. Wind waves 3 to 4 ft. NW swell 5 to 6 ft at 10 seconds. NW winds 10 to 20 kt with gusts up to 25 kt. Wind waves 3 to 4 ft. NW swell 5 to 6 ft.
NW winds 5 to 15 kt. Wind waves 2 ft or less. NW swell around 5 ft.
NW winds 20 to 25 kt with gusts up to 35 kt. Wind waves 6 to 7 ft. NW swell 7 to 8 ft at 11 seconds. NW winds 20 to 25 kt with gusts up to 30 kt. Wind waves 5 to 6 ft. NW swell around 6 ft at 11 seconds. NW winds 10 to 15 kt. Wind waves 2 ft or less. NW swell around 6 ft at 10 seconds. NW winds 10 to 20 kt with gusts up to 25 kt. Wind waves 3 to 4 ft. NW swell 4 to 6 ft at 10 seconds. NW winds 5 to 15 kt. Wind waves 2 ft or less. NW swell 4 to 5 ft.
NW winds 15 to 25 kt...increasing to 20 to 30 kt this afternoon. Wind waves 6 to 7 ft. NW swell 5 to 7 ft at 11 seconds. NW winds 20 to 30 kt. Wind waves 6 to 7 ft. NW swell 5 to 6 ft at 11 seconds. NW winds 15 to 25 kt with gusts up to 30 kt. Wind waves 5 to 6 ft. NW swell 4 to 5 ft at 10 seconds. NW winds 15 to 25 kt with gusts up to 30 kt. Wind waves 4 to 5 ft. NW swell 4 to 5 ft at 10 seconds. NW winds 15 to 25 kt with gusts up to 30 kt. Wind waves 5 to 6 ft. NW swell 4 to 6 ft at 10 seconds. NW winds 15 to 25 kt with gusts up to 30 kt. Wind waves 3 to 4 ft. W swell 5 to 7 ft.
NW winds 5 to 15 kt. Wind waves 2 ft or less. W swell 5 to 6 ft.
NW winds 15 to 25 kt with gusts up to 30 kt. Wind waves 5 to 6 ft. W swell 5 to 7 ft at 11 seconds. NW winds 20 to 30 kt. Wind waves 4 to 5 ft. W swell 5 to 6 ft at 11 seconds. NW winds 10 to 20 kt with gusts up to 25 kt. Wind waves 3 to 4 ft. W swell 4 to 5 ft at 10 seconds. NW winds 15 to 25 kt with gusts up to 30 kt. Wind waves 3 to 4 ft. W swell 4 to 5 ft at 10 seconds. NW winds 5 to 15 kt. Wind waves 2 ft or less. W swell 4 to 5 ft at 10 seconds. NW winds 10 to 20 kt with gusts up to 25 kt. Wind waves 3 to 4 ft. W swell 4 to 6 ft.
W winds up to 10 kt. Wind waves 2 ft or less. W swell 3 to 5 ft. IN THE DEEP WATER CHANNEL...Combined seas 6 to 8 ft with a dominant period of 10 seconds. ACROSS THE BAR...Combined seas 7 to 9 ft with a dominant period of 10 seconds. Maximum ebb current of 4.2 kt at 06:13 AM Sunday and 2.0 kt at 07:13 PM Sunday. NW winds 10 to 20 kt...increasing to 20 to 25 kt this afternoon. Wind waves 3 to 4 ft...building to 5 to 6 ft this afternoon. NW swell 6 to 8 ft at 11 seconds. Patchy fog. NW winds 15 to 25 kt with gusts up to 30 kt. Wind waves 4 to 5 ft. NW swell 5 to 7 ft at 11 seconds. NW winds 15 to 25 kt with gusts up to 30 kt. Wind waves 4 to 5 ft. NW swell 4 to 6 ft at 11 seconds. NW winds 10 to 20 kt with gusts up to 25 kt. Wind waves around 3 ft. NW swell 4 to 6 ft at 10 seconds. NW winds 5 to 15 kt. Wind waves 2 ft or less. NW swell 4 to 6 ft at 10 seconds. NW winds 5 to 10 kt. Wind waves 2 ft or less. NW swell 3 to 5 ft.
NW winds up to 10 kt. Wind waves 2 ft or less. W swell 4 to 5 ft.
NW winds 15 to 25 kt...increasing to 20 to 30 kt this afternoon. Wind waves 4 to 5 ft...building to 6 to 7 ft this afternoon. NW swell 6 to 8 ft at 11 seconds. NW winds 20 to 30 kt. Wind waves 6 to 7 ft. NW swell 6 to 7 ft at 11 seconds. NW winds 15 to 25 kt with gusts up to 30 kt. Wind waves 4 to 5 ft. NW swell 5 to 6 ft at 11 seconds. NW winds up to 10 kt. Wind waves 2 ft or less. NW swell 5 to 6 ft at 10 seconds. NW winds 5 to 15 kt. Wind waves around 3 ft. NW swell 4 to 6 ft at 10 seconds. NW winds 5 to 15 kt. Wind waves 2 ft or less. NW swell 3 to 5 ft.
NW winds up to 10 kt. Wind waves 2 ft or less. 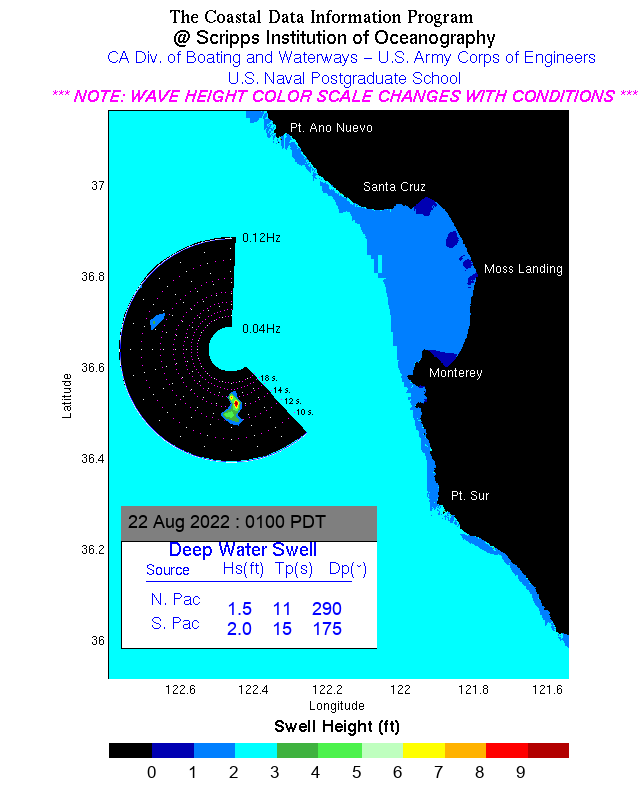 NW swell 4 to 5 ft.
NW winds up to 10 kt...becoming W 10 to 20 kt this afternoon. W winds 5 to 15 kt. NW winds 5 to 15 kt...with gusts to 20 kt in the afternoon. NW winds up to 10 kt. S winds 5 to 15 kt. SW winds up to 10 kt. SW winds 10 to 20 kt. NW winds up to 10 kt...becoming W 10 to 20 kt with gusts up to 25 kt this afternoon. NW winds 5 to 15 kt. W winds 5 to 15 kt...increasing to 15 to 25 kt with gusts up to 30 kt this afternoon. Wind waves 2 ft or less... becoming 4 to 5 ft this afternoon. W swell 5 to 7 ft at 11 seconds. Patchy fog. NW winds 15 to 25 kt with gusts up to 30 kt. Wind waves 3 to 4 ft. W swell 5 to 6 ft at 11 seconds. W winds 15 to 25 kt with gusts up to 30 kt. Wind waves 3 to 4 ft. W swell 4 to 5 ft at 11 seconds. W winds 10 to 20 kt with gusts up to 25 kt. Wind waves around 3 ft. W swell 4 to 5 ft at 10 seconds. W winds 5 to 15 kt. Wind waves 2 ft or less. W swell 4 to 5 ft at 10 seconds. W winds up to 10 kt. Wind waves 2 ft or less. W swell 4 to 5 ft at 10 seconds. W winds up to 10 kt. Wind waves 2 ft or less. W swell 3 to 4 ft.
W winds up to 10 kt. Wind waves 2 ft or less. W swell 3 to 4 ft. 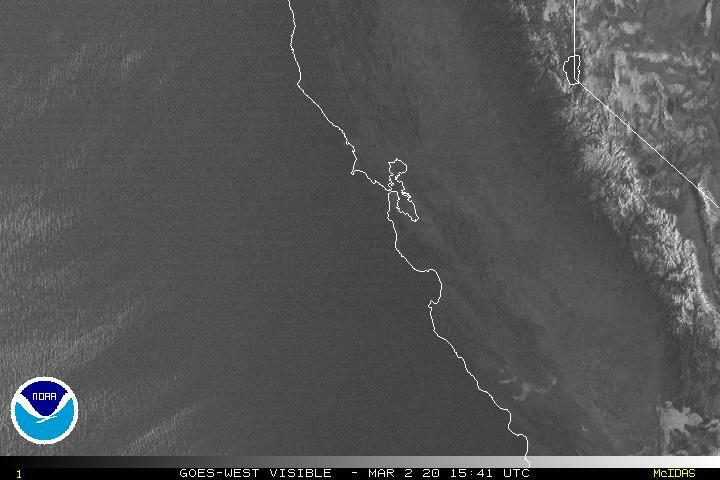 Locally lower winds and seas across sheltered portions of the bay.